Habitat Group broke ground on Smart Brickell Tower 1 on March 29 and expects delivery in the first quarter of 2021. 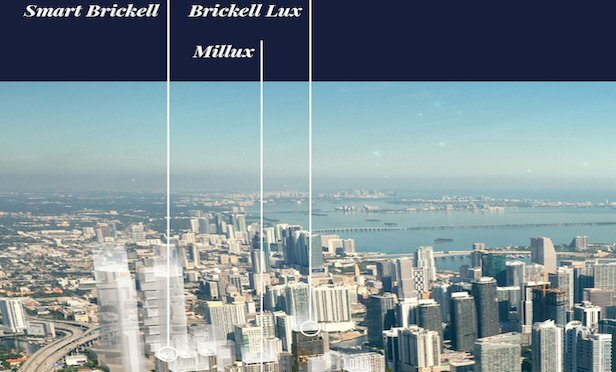 Vanegas says the firm hopes to begin construction in the third quarter of this year on Smart Brickell Tower 2 and deliver that project sometime in 2021. Habitat Group’s three major projects in the West Brickell section of Downtown Miami. Credit: Ayenk in association with INK Architects. MIAMI—The Brickell district of Miami is one of the fastest growing areas of Miami and specifically West Brickell is beginning to see new development projects break ground, particularly mixed-use hotel development projects.